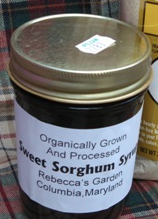 Sorghum syrup from Rebecca’s Garden in Columbia, Md. I pureed the ingredients in my beloved Vitamix and … voilà: A banana – sorghum syrup – almond smoothie! Here’s what I like about it: the sorghum syrup (which is really sweet) finds a landing place with the banana. 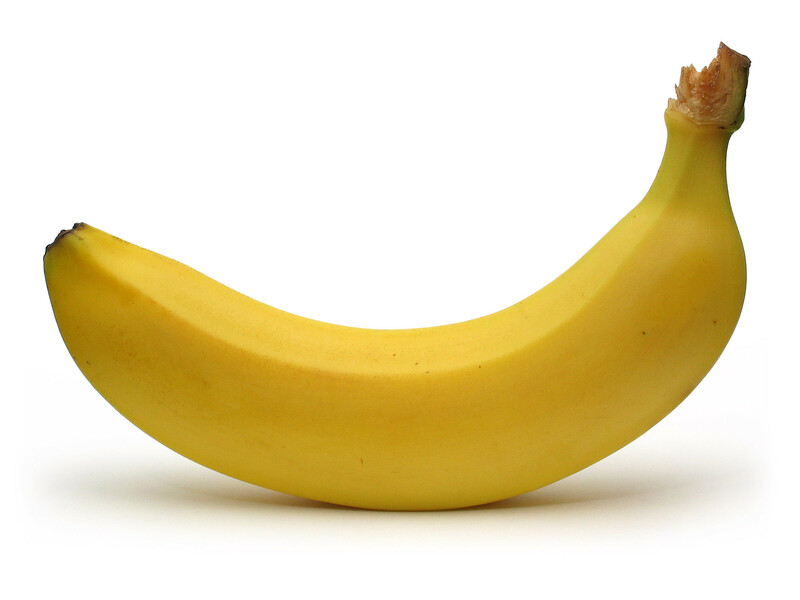 (I find bananas rather bland and too banana-y. I don’t really like bananas except in smoothies.) The soaked almonds and hazelnuts add depth, richness and fat, as nuts do. The cinnamon is layered with the nutmeg for a slightly complex flavor that neither overpowers nor underwhelms. And the salt, of course, punches the flavors. It makes flavors a bit more sophisticated, I think. Overall, it’s somehow almost a milky flavor-texture without having any actual dairy ingredients. 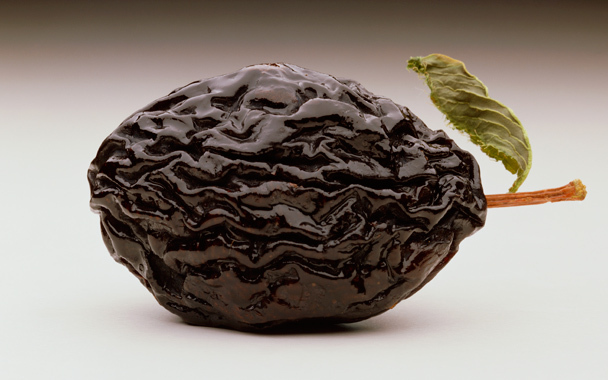 Note: Mulberry syrup is a bit molasses-y and tastes faintly of raisins, to me. It needed something to mellow it, so I added the yogurt at the end. And that made it absolutely fantastic! Very smooth and creamy. Tasty in a gentle yet robust way. Yummy! Blueberry and mango smoothie. Keeping it simple. The weather in the DC Metropolitan area yesterday was gorgeous! I celebrated that it was a Good Friday, indeed, with an annual tradition (chore) of digging out the compost pile. This is not a small project. Ever. But I get giddy and gleeful when I come across the hot zone for worms. I find it an inspiring vision, and it makes me happy. Spreading the rich composted earth about the garden is good for my soul. I’m a bit of a twit in that compost bin material only goes on food sources: vegetables and fruits, no flowers, trees or bushes. The result was colorful, tasty in a simple and delightful sort of way, and thick. Spoon thick. Gotta watch out for the brain freeze when it’s that thick. Yowsa. For future smoothies, I think it’s valuable to have fresh, not-frozen fruit as part of the mix. It keeps the temperature from being brain-freezing. Overall, it was a nice drink and a nice break from the heavy lifting of moving dense, rich soil out of the compost pile. A few people were outside and also gardening, so I made enough to share with them, too. It’s nice! I like it. Tangy, light but not too watery. No grit. Smooth. Here is one of my hands-down favorite purees: Sweet potatoe and apple. I’m bringing it to the thanksgiving holiday potluck at my j-o-b tomorrow, along with another more sugary sweet potato dish. The recipe I use is here. If you feel so called, enjoy. If you have a j-o-b where I have a j-o-b, perhaps you’ll sample a bit tomorrow. I’ve been paying a bit more attention to the acid-alkaline range of my body’s chemistry, and my understanding is kombucha helps move the body toward a more basic chemistry. Photo by Josh Bousel, via Flickr. Maybe — and I mean maybe — in the hands of a trained chef, this could have become a dip or a topping for rice or something. Alas. Tabasco and fruit. Better tasting than it may sound! Amazing. The tabasco underneath it all (plus the lime) pulls these tastes and textures together in a way I wasn’t expecting. It’s rich, full, tasty. It even masks the scary agri-business banana flavor that keeps me from including bananas in most of my fruit smoothies. I’ve used the word “scary” three times in one short blog post. Beets puree well. They’re a great smoothie ingredient. On super-high in my Vitamix. Yum. The beef bouillon was a bit hot as I had boiled the water to make the broth. So the heat balanced the other temperatures and made the drink tepid — almost blood-like … The roasted walnuts deepen the flavor of this drink and make it much more than beets and cheap bouillon. The color is spectacular: a purplish-pinkish-red. And there’s just enough kick with the hot peppers, pepper and garlic. Try adding pumpkin seeds to layer in a bit of bitter and depth to your next smoothie. And that made it perfect. This is an excellent Vitamix lettuce smoothie. The layers of flavor are incredible, complex and in relationship to each other in surprising ways. The orange and lemon add the sour, with the orange making it light and just a bit sweet. The nuts bring in the deeper, bitter flavors. The herbs chime in, but not too loudly. The color of this drink is a pretty, light green and the texture is smooth, light and easy in the mouth. Our household was gifted with gobs of wild raspberries. Which we promptly froze for smoothies. This afternoon was my first attempt at using them, so I went light and mild for trial one. The result was a refreshing drink, but not much of a smoothie, per se. The wild raspberries just aren’t richly pulpy. Though they are richly seedy. So, knowing the fruit didn’t add too much flavor or pulp, I headed on to make smoothie #2. Vitamix, natch. On high, high, high to pulverize the many seeds in the raspberries. OMG. 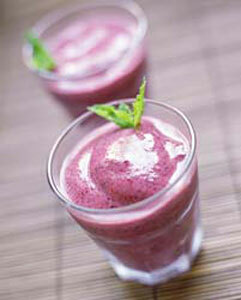 This is one of the wilder and better smoothies I’ve made … and I’ve made a lot of smoothies. 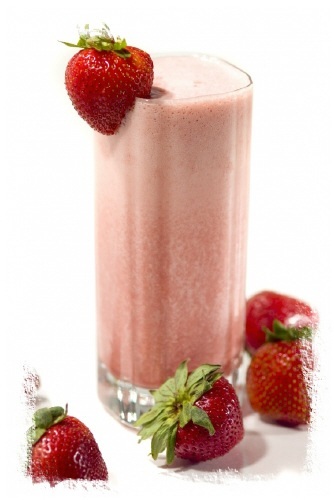 This is one darn good smoothie! 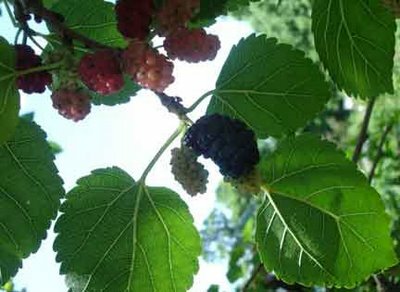 The sour flavor from the berries, orange juice and yogurt are balanced by the sweetness of the honey and a bit from the berries. The chocolate/cocoa adds some bitterness and depth. The vanilla and cinnamon connect the flavors and add some gentle sophistication to the drink. Whirrrrrr in the Vitamix. Done. Vitamix on low, variable, then high. Cantaloupe is so watery, that it makes for a really different base drink than something pulpier, such as blueberries. Knowing it was going to be really watery, and knowing I didn’t want to add to many fruits to it, I aimed to add more flavor layers. (Oh, cantaloupe, like all melons, is best eaten away from/distanced from eating other foods. At least, that’s what I’ve heard and adhere to mostly.) The ginger and honey added flavor layers. The ginger seemed almost a bit bitter to me; the lemon, sour, of course. Kefir is a little bit sour, but balanced by the vanilla flavor. Anyway, I liked it. My sis was so-so on it. My dad and my mom both liked it. If I made it again, I’d halve the amount of ginger I used. Vitamix, first on low and variable. Then high-speed, especially with the Brazil nuts; needed to pulverize them. The pineapple and peaches by themselves were nice and tasty, but too light. Too airy. Not enough dimension to the drink. So I added some vanilla-flavored kefir for the fat from the kefir/yogurt-like drink. Plus the vanilla flavor and slight sour of the yogurt adds dimension. I added Brazil nuts because — well, heck — they’re rather healthy. Plus, they also added some weight and oil to the drink. Very nice end result. Light fruit flavor with the sweet pineapple and peaches, with layers of vanilla, sour and nuts (a smidge, just a smidge bitter). Vitamix. Variable, then on high. Served in pretty glasses. Nice. Refreshing. Still thick enough to eat with a spoon. Vitamix. On high. Next time: remember to add sugar or honey. Blended it on high in my Vitamix. And there you have it. Good. The kefir changes it. Makes it meatier. More robust. I do like a pure fruit smoothie, but this was nice for a change of pace and shift in flavor not possible with just fruit. Today’s smoothie: Pineapple Mango Strawberry Orange. Fantastic. Mango: it’s a magical ingredient in smoothies. Super simple. Super fab.